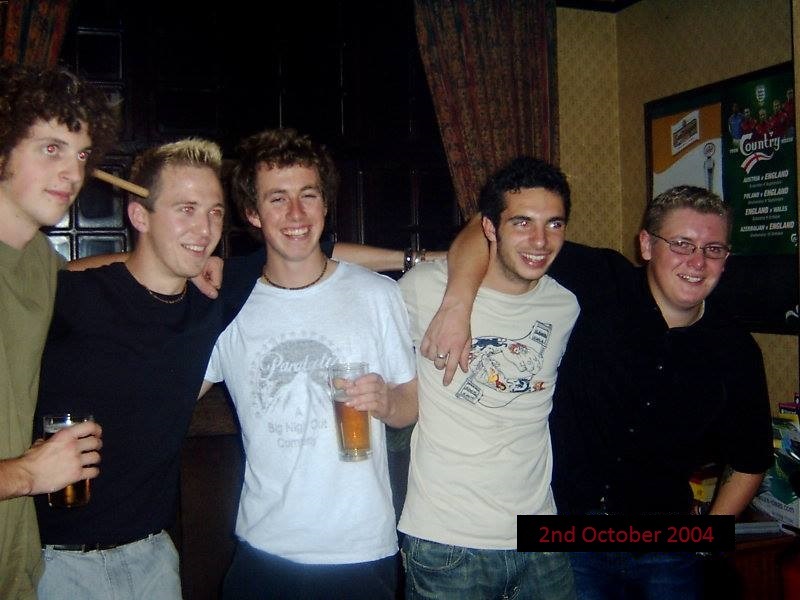 Back in October 2004, us five miscreants, plus our singer Oz, played our first show at the Crown & Cushion pub in Haslemere. 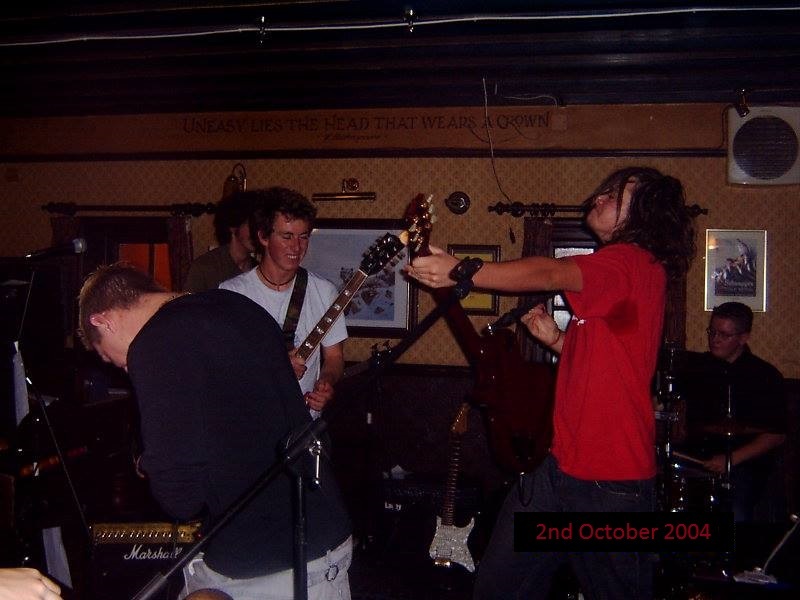 We played 18 songs – opening with ‘Blood Runs Down My Satisfied Face As I Scream With Delight’ and closing with ‘Next Hour’. 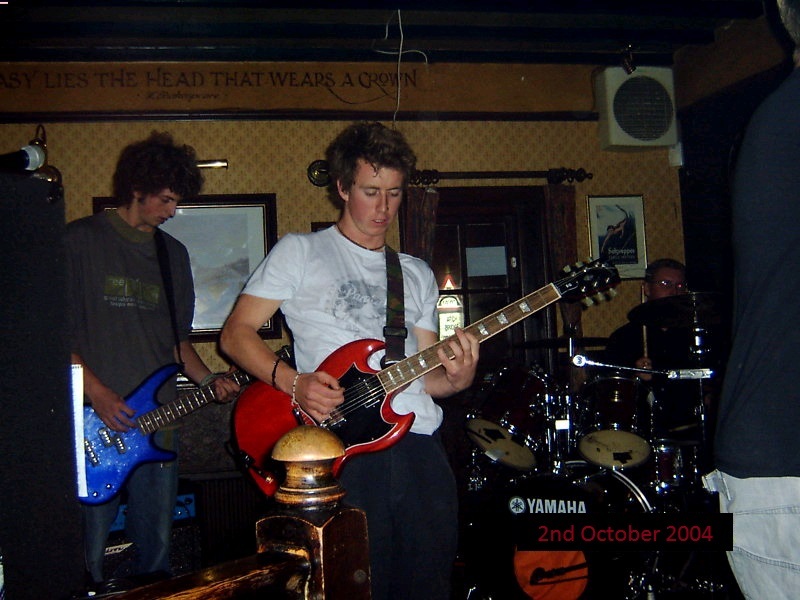 In this foolishly ambitious long set we also covered ‘Wish You Were Here’, ‘Disarm’ and ‘Ziggy Stardust’. God knows what we sounded like – the PA was hastily soldered together while we hastily drank our free beers / payment for the night.